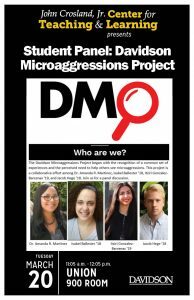 At the beginning of the spring semester of 2019, the collaborators gave a panel discussion at the Davidson Community Innovation Institute. 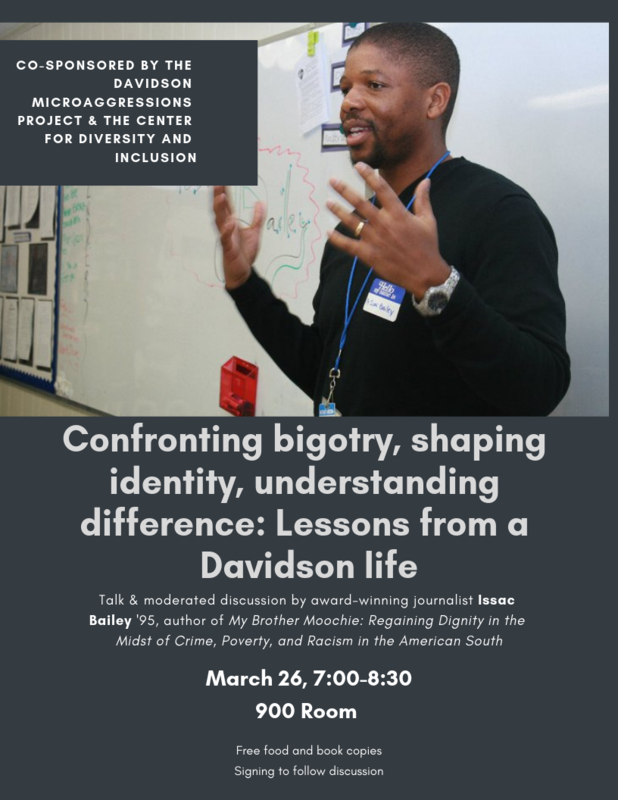 The DMP collaborations organized a moderated discussion for students, faculty, and staff with Issac Bailey ’95, award-winning journalist and author of My Brother Moochie: Regaining Dignity in the Midst of Crime, Poverty, and Racism in the American South. 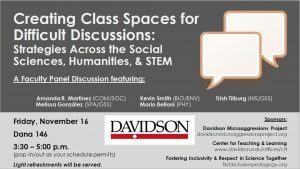 In fall of 2018, the collaborators were interviewed as part of a grant awarded to the Associated Colleges of the South Inclusive Pedagogy Institute. Click here to view excerpts of the ACS grant. 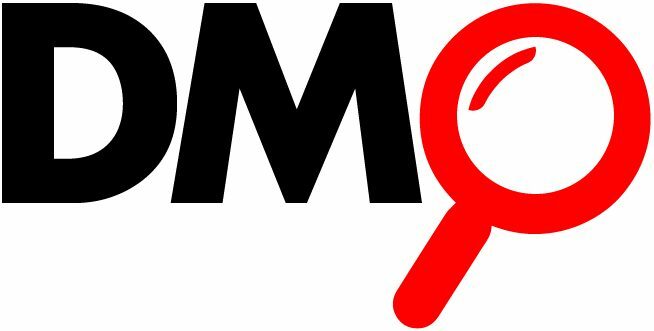 Click here to read the interview questions. 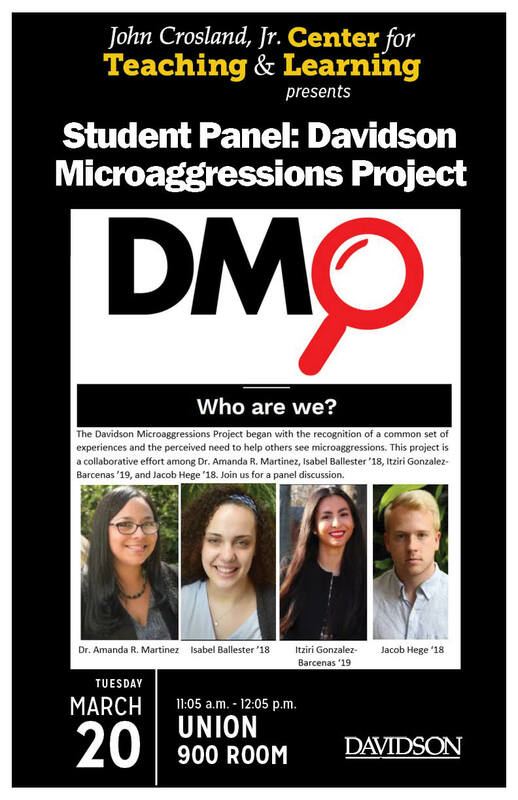 The first public event by the collaborators was held in spring of 2018 and featured the three original student collaborators and Dr. Martinez. The panel was sponsored by the Center for Teaching and Learning.